Do you have pain on the outside of your hip? Often pain on the outside of the hip (lateral hip pain) can start gradually, with no incident. Because of this, people often get diagnosed with having hip arthritis although this may not always be the cause of symptoms. Lateral hip pain can make activities such as prolonged standing, lying on your side, work or exercise unbearable. Lower back: Structures such as intervertebral discs, facet joints, or nerve impingement can all cause lateral hip pain. Sacroiliac Joint: This is the joint where your back connects to the pelvis (the sacrum to the ilium). There are many conditions that can effect this joint such as instability (ligament laxity), osteoarthritis or the inflammatory rheumatoid arthritis..
Tendons: Many of the gluteal muscles have attachments to the lateral hip. With poor gluteal control and strength these tendons are compromised and can suffer from an overloading condition known as a tendinopathy. Tendinopathies in the hip are often misdiagnosed as bursitis, although bursitis is often something that is a result of the poor tendon condition. Many people will have a cortisone into the bursa to settle any inflammation but be dismayed when their pain doesn’t go away! All of the Physios here at Be Your Best have had a lot of experience with each of these common causes of pain on the side of the hip. In your appointment, you will be thoroughly assessed to determine the cause of your symptoms. If the cause of your symptoms can be conservatively managed, your physio will provide hands-on massage treatment, strengthening, gait re-education and footwear & lifestyle advice. You will take an active role in your recovery as our experience tells us this will make your recovery quicker and more likely to work in the long run! If your condition can’t be managed by Physio alone, we will be refer you for scans or to a specialist for an opinion, if necessary. 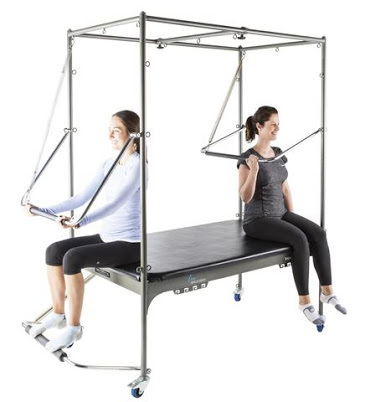 What is a Pilates Trapeze table? When we move to our new premises, we will be adding Pilates Trapeze tables to our Reformer Pilates classes. The “traps” table, is said to initially have been created by Joseph Pilates so that bed-bound patients had the ability to exercise using springs and straps. The most challenging aspect of the traps table is its orientation. Due to the way it is constructed, most of the exercises performed on the table are done with very light spring resistance, instead utilising gravity and body weight. Because of this, good core activation and balance is a must! We look forward to adding the challenge of the Traps tables to our classes! 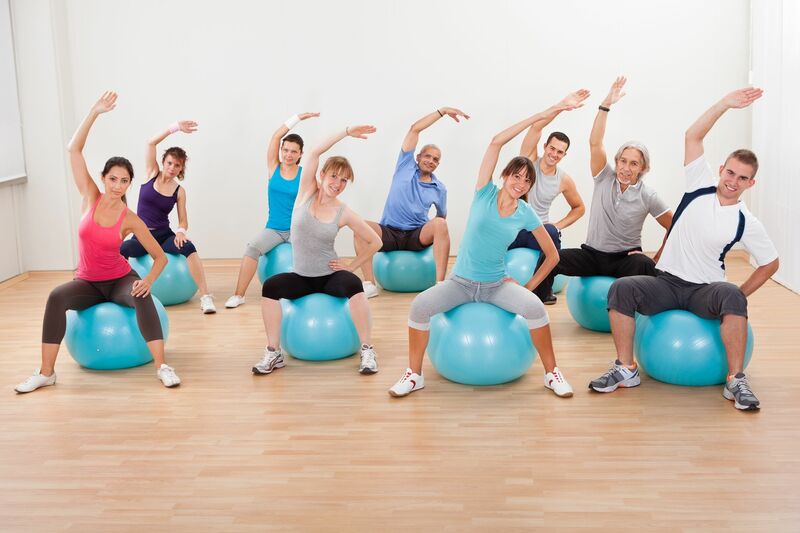 We are pleased to announce our Fitball classes will be returning in October. Combination of cardio, strength and core exercises – great for improving fitness, enhancing body shape and improving core strength. 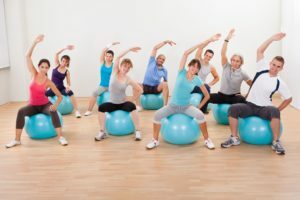 Fitball classes will be 9:10am Tuesdays – bookings essential.